Hi Andrew, thanks for this interview. 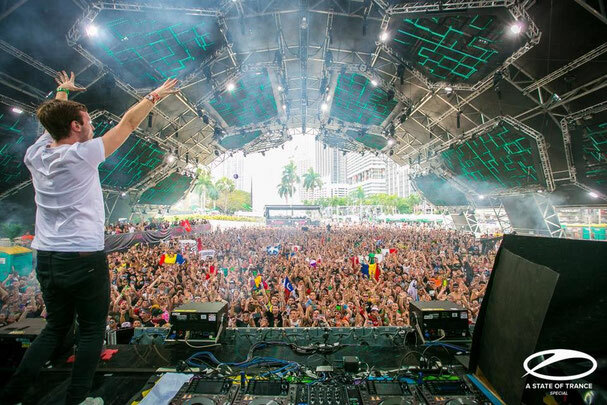 Electro Life: What does the Miami Music Week means for Andrew Rayel? Andrew Rayel: It's a great week where you can see all your friends, you can listen to great music and meet many people. Whether for me this week is to enjoy life and have fun as all DJ's are here so it's an amazing week. Electro Life: We know that the Miami Music Week and the Amsterdam Dance Event are one of the most important weeks for all DJ's in the world, how does Andrew Rayel prepares for these weeks? Andrew Rayel:Obviously always try to prepare something new for those weeks, I always tried to have new music and try to release it, for example Ultra and my party at Mokai I have prepared a lot of new songs that I'm ready to release them. In these weeks I always try to play something new, I do not like playing old stuff, I like to play brand new songs this week. Electro Life: That's amazing, but talking about new songs that you tell us about your last song Once In a Lifetime Love? Andrew Rayel : For me I think it's my favorite song right now, I was inspired by this song for all couples and people who attend my shows. I love how they come with me and tell me that they fell in love, met or even through my set committed. I feel like the song connects well with people, I love everyone telling me that they like the song. I remember premiering it last year at A State Of Trance Mexico and I remember finishing my set all the fans started asking about that song. The song is already on sale right now and it's amazing that this song have supported great DJ's like Armin van Buuren, Dimitri Vegas & Like Mike, Hardwell, W&W and so I am very proud of that. Electro Life: Speaking of Mexico we remember that the last time you played in Mexico in ASOT you gave us news about your new album, there's something new about that? Andrew Rayel: I'm still working on my new album, really I can not give you more news. I hope later this year and this album will be able to find songs with new styles, but that does not mean they will not be able to find this new album the old Andrew Rayel, obviously they will be able to continue listening trance. The truth is that I’m excited to see how people react to my new album. 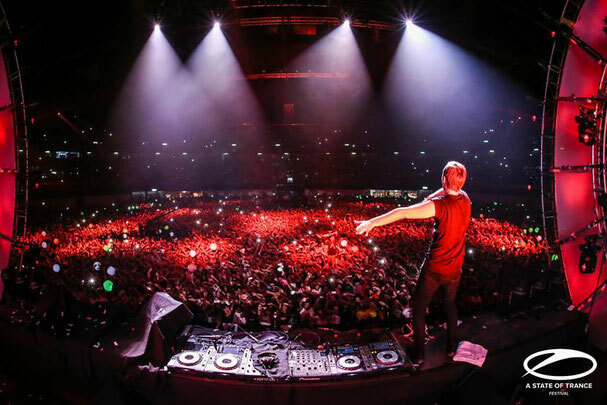 Electro Life: We know that Mexico is a large market for trance music, you can tell us about the Mexican public? 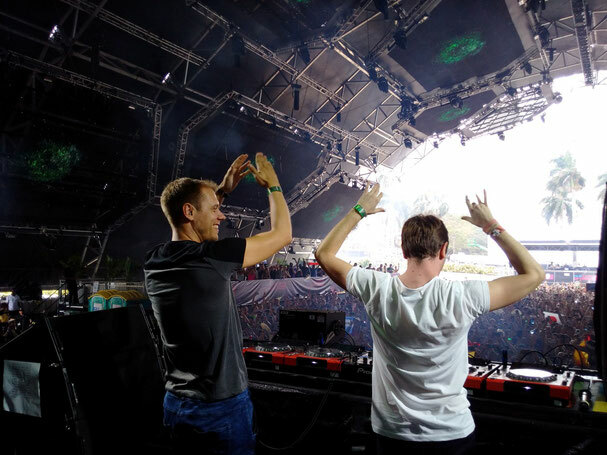 Andrew Rayel: I love the Mexican fans, as they always support me and send me messages whenever I produced a new song. Speaking of events think ASOT Mexico has been one of the best events I've attended, I love how is the audience reaction, I love to go crazy and really hope to return back with my new tour of my new album . Electro Life: We know that this is your third Ultra, so for you that makes different this ASOT Miami against others around the world? Andrew Rayel: I think now I'm more prepared for this show. I’m planning to release new songs in my set. And I know I'll make it perfect and I'll enjoy it as ever. Electro Life: We are looking forward to it, but can you tell us about yout own party at Mokai this Sunday? Andrew Rayel: It's going to be my first show dedicated to Find Your Harmony and me and I'm really excited but nervous at the same time for all the parties that are also on the same day but we’re expecting many to attend and enjoy this big party. Electro Life: As a last question, we can expect from Andrew Rayel this 2016? Andrew Rayel: In 2016 the most important thing for me will be my album so I will concentrate 100% on my album and obviously at least every month will release a new song from my album order to deliver my full album at the end of the year. Thank you so much for this interview and we are looking forward to your own show in Mexico. For more information, visit www.AndrewRayel.com.